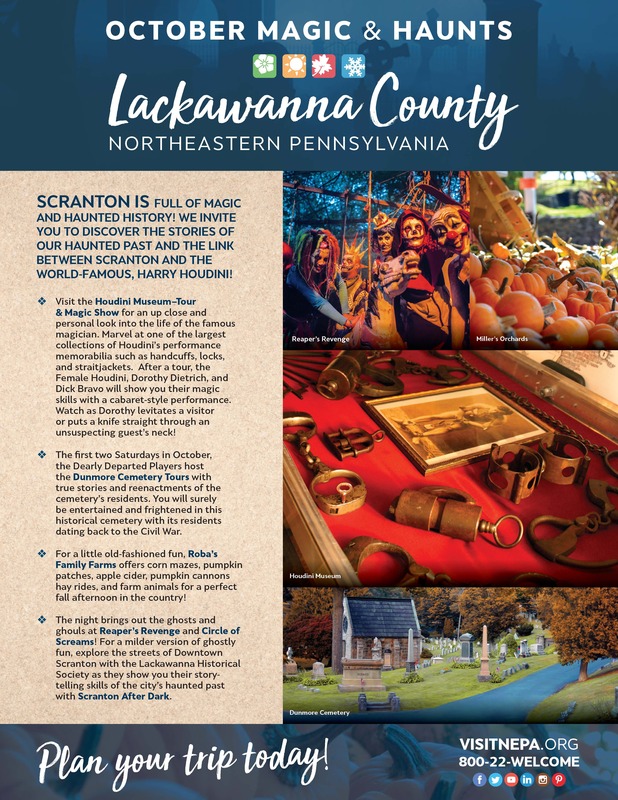 The Lackawanna Heritage Valley National and State Heritage Area is a partnership of government, business, civic organizations, and individuals dedicated to the development of the region's historic, cultural, economic and natural resources through preservation, education, and promotion of our heritage. 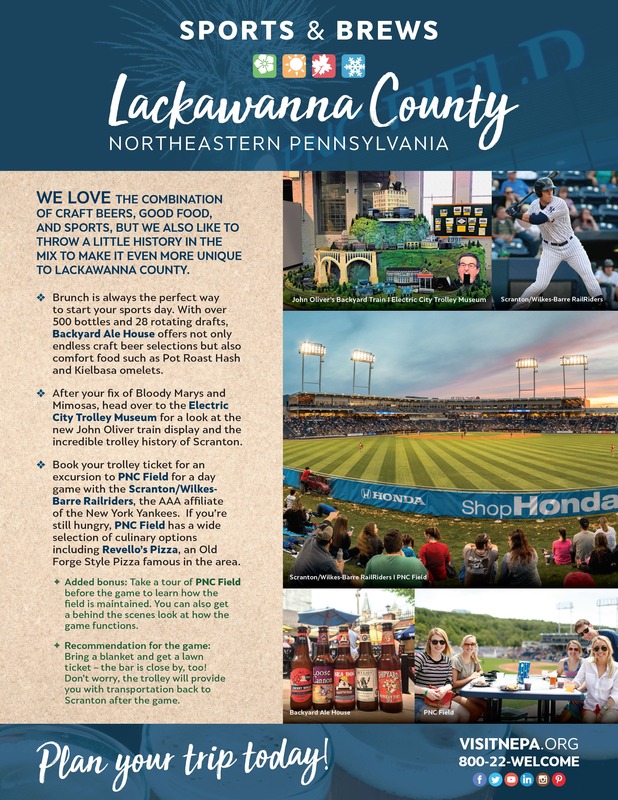 The Heritage Valley is managed by the Lackawanna Heritage Valley Authority with the help of the non-profit organization Heritage Valley Partners (HVP). 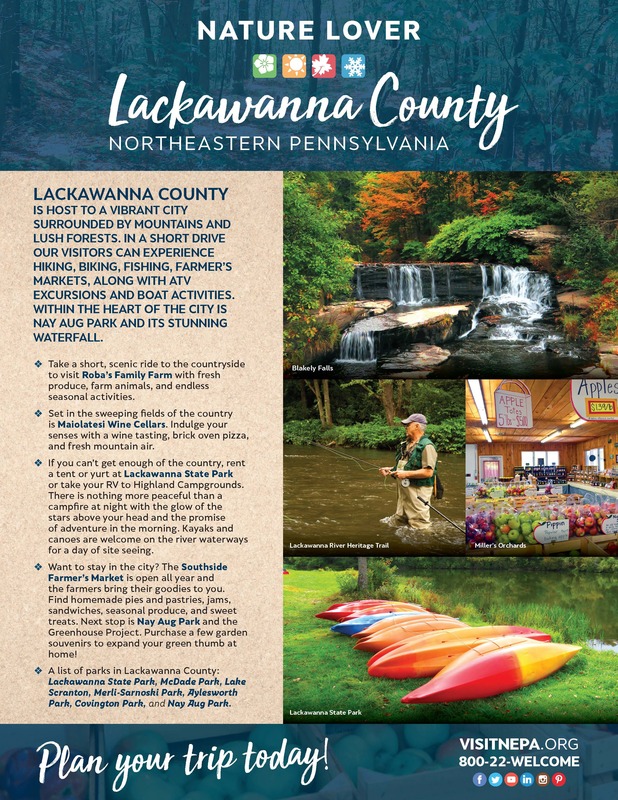 These organizations share many common goals, including: telling the region’s story, reconnecting people to the Lackawanna River, and preserving the physical character and economic vitality of the communities in the Lackawanna Valley. 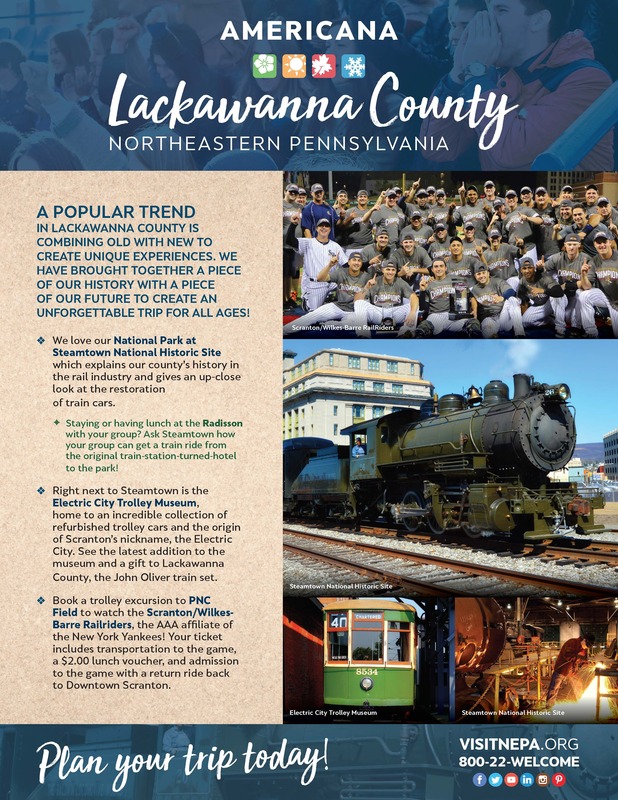 The Lackawanna Valley’s story is both unique and distinctly American. Settled in the early 1800s, the rugged frontier valley rapidly grew to be a hub of commerce and manufacturing because of the enormous anthracite coal reserves just below the surface. The Pennsylvania Anthracite Region eventually produced 80 percent of the world’s anthracite coal, a clean, hot-burning fuel that was perfect for running machines and building empires. Historians consider Scranton the industrial center of the region. The huge coal industry, iron and steel production, railroading and railroad building, food processing, large-scale fabrication, and textiles all played a significant role in the area’s growth. The region became the powerful engine that drove America’s Industrial Revolution. 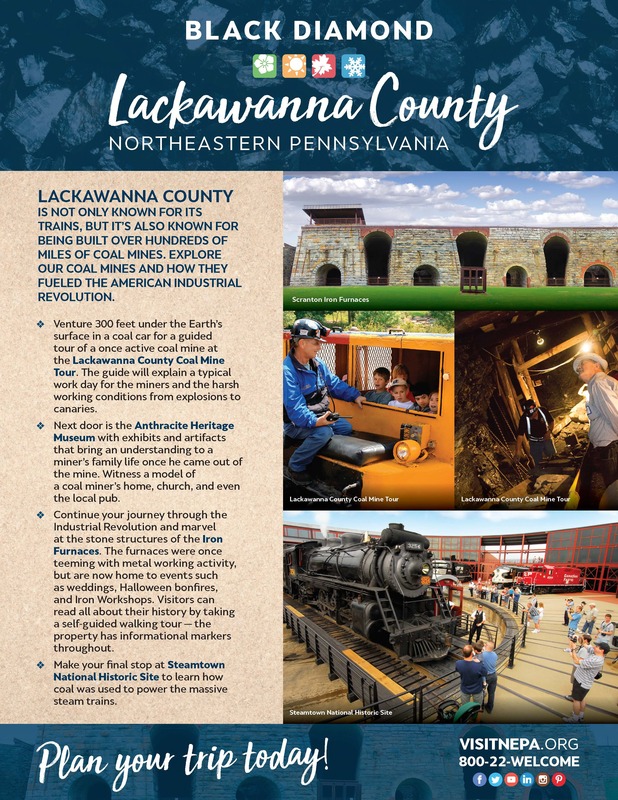 The Lackawanna Heritage Valley receives major funding from the National Park Service and the Pennsylvania Department of Conservation and Natural Resources. It uses this funding to help strengthen and promote the work of local communities, organizations, and historical attractions through grants, event sponsorship, and technical assistance. 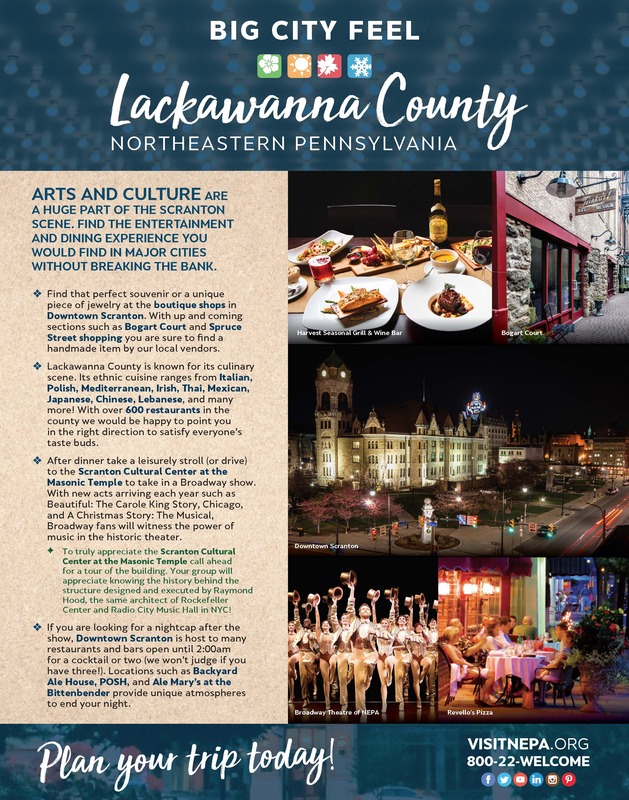 It also fosters partnerships work to conserve and promote the region’s heritage and natural resources, and to improve the economic vitality of the diverse communities in Northeastern Pennsylvania.